With the ever evolving economy, businesses nationwide are looking for an edge over their competitors. This includes ways to retain their work force. As unemployment drops, the benefits packages offered by employers are becoming more and more competitive. This presents a challenge for industries that have a workforce of part-time and seasonal employees. Finding ways to attract talent can be difficult. So, what can your bank do to help? Implementation of payroll cards! Here are three reasons you should consider the issuance payroll cards at your business. As we just mentioned, one way businesses can attract part-time and seasonal workers is by issuing payroll cards to employees. In a recent study done by the FDIC, it is estimated that 9 million households nationwide do not have a bank account. 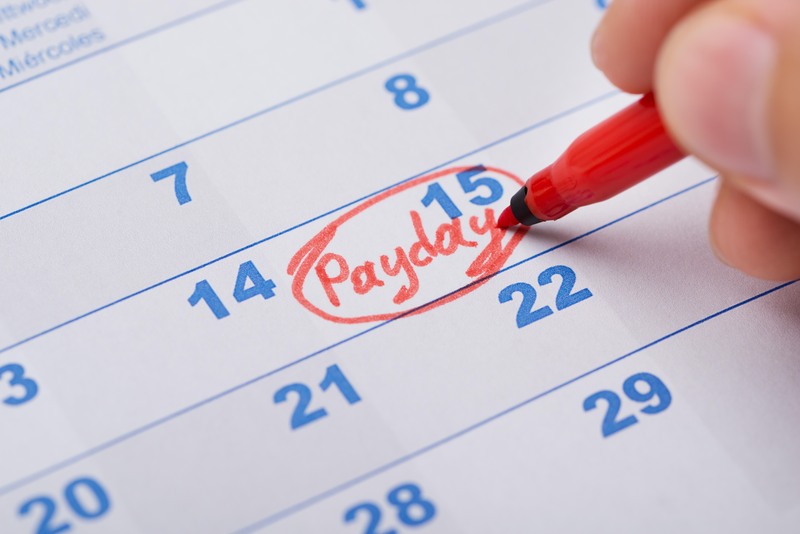 Each pay period the employee accepts a physical check and has to take to the bank. This can inconvenience an employer as well an employee. By issuing a payroll card to employees, the money is direct deposited onto the card and made available to the employee immediately. It is a convenience to everyone involved. Payroll cards provide flexibility for the employee! Before they had a card, they were likely handling everything in cash. A payroll card enables them to use the card for any transaction where a card would be accepted. This includes online transactions, or withdrawals at an ATM or at a merchant. The employee can also check balances online and receive a statement each month just as they would with a normal bank account. While writing fewer checks is certainly nice, there are other benefits as well. With an employee’s paycheck going directly onto a card, the employee will likely be less distracted during the workday with concerns about a financial burden. Since the card can be used anywhere, the employee doesn’t have to worry about making it to the bank before it closes to cash a check, or make it to an office to pay a bill with cash. It could lead to a more productive work day. New cards can be ordered conveniently online when needed. There is no added stresses to you by with these cards either since you can pay all your employees in one spot. You can set up all direct deposits in one place through our ACH Services on our website. As an employer, one additional benefit to utilizing payroll cards is the ability to pay all of your employees within one system. You can set up direct deposit, whether to an account or a payroll card, through our secure ACH Services portal. Interested in learning more about payroll cards or our ACH Services? Contact your local branch or visit our website, https://centralnational.com/help/payrollcards.asp for more details.